The hot pot chain’s owner is in talks with major shopping centres to further expand the brand. 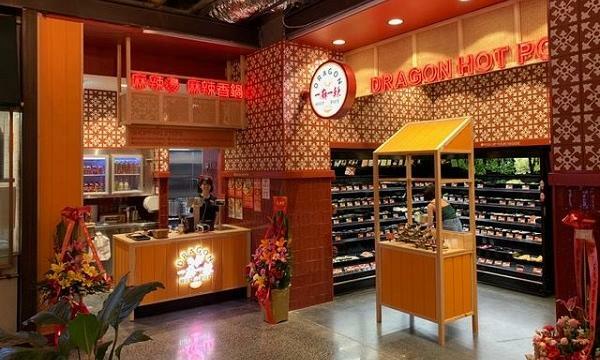 Upstart Chinese hot pot chain Dragon Hot Pot has launched new stores in QV Melbourne and Box Hill Centro, bringing their store count to six. “It has been a very exciting and rewarding experience for myself and the Dragon Hot Pot team over the last 12 months, to see how the Melbourne market has accepted our concept and offering,” Louis Kuo, owner of Dragon Hot Pot, said. "We are thrilled at the prospect of customers across the country enjoying our delicious hot pots,” Kuo added. The young dining chain is known for their signature Ma La Tang broth and allows customers to choose from 5 soup bases including Sichuan Hot and Sour, Pickled Mustard, Collagen Bone Broth and Ma La Spicy Stir-fry. Customers can also pick from over 100 ingredients to place in their hot pots, which include bok choy, chicken, wagyu, shrimp, enoki mushroom, tofu fish cake, pig’s kidney, duck blood, egg, seven variations of noodles, crab sticks and frog’s legs.